Also included in this resource is information regarding important considerations to take into account when looking for a job that best accommodates people with intellectual disabilities or learning differences. 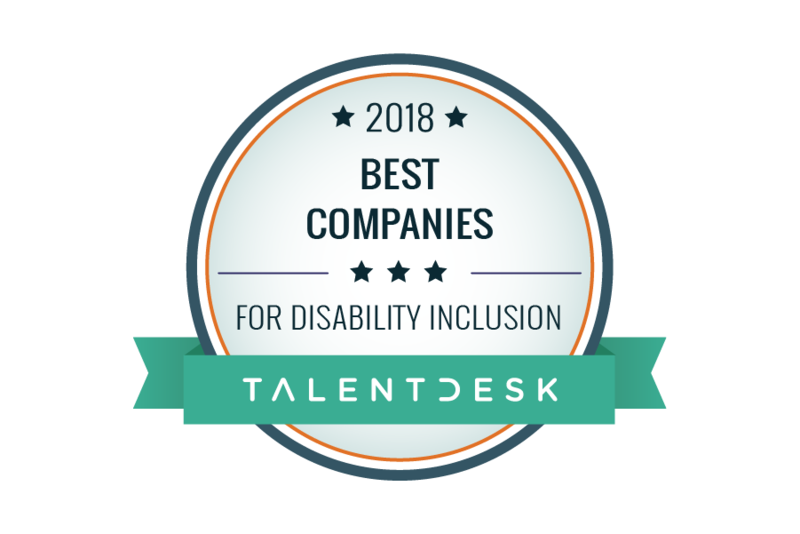 Continue reading to find out more about different career choices for people with disabilities, learn about different employer offered disability programs in our Frequently Asked Questions section, or check out our methodology for the ranking lists on this page. The five positions on this list are strong job choices for people with hearing impairments. There is a wide spectrum of hearing impairments, ranging from partial to a total inability to hear. While the positions below are all suitable to individuals with mild hearing disabilities, positions such as a credit authorizer (#2) or graphic designer (#3) may be better suited for individuals at the more severe end of the spectrum. Vehicle and equipment cleaners maintain the cleanliness of vehicles, machinery, and other equipment, using water and specific materials such as cleaning agents, brushes, cloths, and hoses. This job requires hands-on technical work and is suitable for people who prefer routine work and appreciate following a clear set of instructions. People with hearing impairments will find that their impairment will not affect their ability to succeed in this position. A high school diploma or equivalent is usually needed for this type of work. However, some employers may not require educational certification. Credit authorizers look over credit charges against customers' accounts and investigate the credit history and credit standing of individuals or businesses applying for credit. Much of their work is done online, as they are responsible for evaluating customers’ credit records and payment histories to decide whether to approve new credit. This career is suitable for someone who likes following set procedures and routines. People with hearing sensitivities may find work as credit authorizers because their disability would not hinder them from doing the typical duties associated with this type of work. Successful candidates enjoy working with data and predetermined sets of information rather than generating ideas. A high school diploma or equivalent is necessary for this job, with additional on-the-job training provided by the employer. Companies, organizations, and employers rely on graphic designers to design, format, and develop materials. Designers work with a variety of creative software applications, including InDesign, Photoshop, and Illustrator. Successful graphic designers are able work both independently and collaboratively within teams. People with hearing sensitivities will excel in this position as long as they have a passion for design and are attentive communicators. Most graphic design positions require bachelor's degrees as well as prior agency experience. A file clerk is responsible for maintaining files and records in a general office environment. They might locate information for other employees and create new filing systems to make sure records are organized. Someone with a hearing impairment could find a job as a file clerk because interacting with people in person is not necessary to perform their job duties and they generally work individually. This job would suit someone who prefers routine work and enjoys having a clear expectation of the tasks required. This job also demands someone who doesn’t mind sifting through large sets of data for hours at a time. A high school diploma or equivalent is the minimum education needed for this job, although associate degrees are recommended. Operations research analysts help organizations identify and solve internal issues by using advanced mathematical and analytical methods. This job suits someone who loves to solve complex mathematical problems. In addition, candidates must be able to interpret data and explain it to others in simple terms. Operations research analysts typically work in an office setting, and are employed by governmental institutions or consulting firms. Individuals with hearing impairments who are interested in mathematical and statistical work will find that their disability will not hinder their work as an analyst. The typical educational requirement for this field is a bachelor’s degree in a related field, such as mathematics, engineering, or computer science. The five jobs on this list offer people with visual impairments the opportunity to thrive in positions where visual acuity is not a requirement. Several of the jobs, including telemarketers (#1) and telephone operators (#4), are geared toward individuals who possess the ability to memorize scripts and communicate clearly with clients. Telemarketers contact individuals or businesses by telephone to sell goods or services, or to request donations for certain causes. A variety of different companies and organizations utilize the service of telemarketers. Someone with a visual impairment may be able to find work as a telemarketer, as the bulk of the work includes making and answering phone calls and memorizing a script. This job is suitable for people who enjoy interacting with others and are persistent when trying to influence others. Individuals who are interested in working as telemarketers must have at least a high school diploma or equivalent. Mathematical technicians can work alongside engineers and scientists or in schools, helping people develop their understanding of mathematical concepts and data analysis. 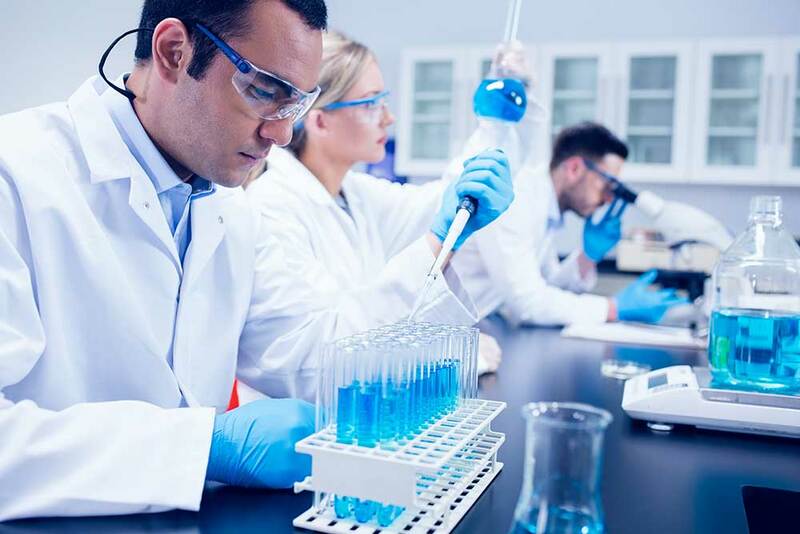 Day-to-day tasks include developing scientific or mathematical models, preparing data for analysis, and coordinating projects and activities with different departments and teams. People with visual impairments may become mathematical technicians because their disability does not interfere with their computational abilities. This job suits someone who enjoys solving complex problems and discussing solutions with others, and has the patience to help others develop an understanding of the solution. To become a mathematical technician, one must have at least a bachelor’s degree in mathematics or a related field. Telephone operators use switchboards and other systems to complete connections between calls, including local, long-distance, mobile, and emergency calls. Someone with a visual impairment may find work as a telephone operator rewarding, as their sharp listening skills will enable them to excel in their work. This job is suitable for someone who enjoys interacting with others, answering requests, and using computer systems. A high school diploma or equivalent is the minimum education required for this position. Credit counselors help their clients identify financial concerns and work with them to find suitable solutions through budgeting. Counselors also help their clients understand their credit scores and teach them how to set effective financial goals. A visual impairment has little impact on success in this career. As long as prospective counselors are interested in working with clients and building interpersonal relationships with them, they will find this position rewarding. To become a credit counselor, at least a bachelor's degree is required; additional financial certifications may also be required depending on employers. Compensation and benefits managers are responsible for overseeing the distribution of pay and benefits information to employees. They also ensure that pay and benefit plans follow federal and state regulations. Individuals with visual impairments who enjoy working with others may find work as compensation and benefits managers rewarding, as their impairment would not hinder them from communicating pay and benefits information to clients. Individuals in this role must be strong negotiators and be able to monitor trends to ensure that their company’s pay structure is competitive with other companies. Most employers require that compensation and benefits managers have at least a bachelor’s degree. The following positions are ideal for people with limited mobility, as they do not require extensive physical activity and instead focus on an individual's analytical and critical problem solving abilities. All jobs require at least a bachelor’s degree, while higher degrees are recommended for political scientists (#2), environmental economists (#3), and biostatisticians (#4). Actuaries are responsible for helping businesses develop policies to minimize the risks associated with the insurance industry. Ideal candidates are comfortable with mathematics, statistics, and financial theory. This job is a strong fit for individuals who work well in a team setting, enjoy developing strategies, and are willing to share their ideas with others. Individuals with mobility impairments who hope to work in a business environment may be interested in a career as an actuary. Minimal physical activity is required, and working with mathematics and finance is a good way to keep the mind engaged. Prospective actuaries need a bachelor’s degree, a background in math and statistics, and a passing score on a credentialing exam. Political scientists research political ideas and analyze how governments shape societies. Theu study policies, political trends, and voter habits. This position requires individuals to analyze data and have a strong grasp of qualitative methods, and most of their job duties are research and presentation based. Limited mobility does not affect the day-to-day activities of a political scientist, as the bulk of the work relies on analytical and computational skills rather than physical mobility. The job suits people who do not mind working long hours at a time writing and reading reports and enjoy working in an office environment. A master’s degree or Ph.D. in political science or public administration is typically required. Environmental economists analyze economic data related to environmental protection and the use of natural resources, such as renewable energy resources. Since the majority of their job involves conducting research and writing technical documents, individuals with mobility impairments who are interested in economics may be comfortable in a career as an environmental economist. This job would suit someone who enjoys problem-solving and who can identify how a system would work and provide their ideas about how it would affect other systems. This position requires a master’s degree or Ph.D. in a related field, such as economics or environmental science. Biostatisticians analyze living organisms using data collected during medical research studies in order to support a clinical trial. They also interact frequently with their teams and other departments by phone or through emails. This position is suitable for someone who is comfortable analyzing data and making predictions to support medical scientists. Biostatisticians do not have to be very mobile to work in their office and laboratory work environments. Most employers in this field prefer to hire candidates who hold either a master’s or Ph.D. in biostatistics, math, or statistics. Financial analysts work with businesses or individuals to evaluate investment opportunities. This job suits those who are good with numbers and enjoy using their analytical and mathematical skills on a daily basis. Additionally, individuals must be able to communicate clearly with other people. Individuals with mobility impairments and an interest in finance may find work as a financial analyst rewarding, as the position requires very few physically demanding tasks and requires strong critical thinking and problem solving skills. Most financial analyst jobs require at least a bachelor’s degree. The following jobs are strong choices for people with speech impairments, and have an emphasis on an individual's ability to work under constantly changing priorities. Positions such as order fillers (#3) or orderlies (#4) in particular require individuals to be detail-oriented and able to respond quickly in fast-paced environments. Success in these positions does not rely solely on verbal skills. Landscaping and groundskeeping workers maintain grounds of properties using hand or power tools and other related equipment. They operate powered equipment, including electric lawn mowers, chainsaws, and tractors. A speech or language impairment has little influence over the quality of work necessary for this position. This job is suitable for someone who is able to do physical work for hours at a time and pays close attention to detail. The minimum educational requirement for this position is a high school diploma or equivalent. Industrial truck and tractor operators move levers and operate controls in order to transport, lift, or stack materials around a warehouse, construction site, or similar location. Individuals with a speech or language impairment may find work as an industrial truck and tractor operator suitable, as success on the job does not require extensive verbal communications. This job is suitable for someone who is quick on their feet and able to tackle situations where safety is of the utmost importance. A high school diploma or an equivalent is required for this position. Order fillers compute prices of items, complete order receipts, and keep records of outgoing orders that are made by customers either by phone or mail. Someone with a speech or language impairment may find work as an order filler, as their disability would not hinder them from doing the duties imperative to their position. The job is suitable for someone who is a good listener and able to take orders. A position as an order filler requires a high school diploma or equivalent. Orderlies transport patients within a hospital setting to and from operating rooms or x-ray rooms using wheelchairs, stretchers, or moveable beds. Someone with a speech or language impairment will excel as an orderly if they are able to process and take directions in a high pressure environment and enjoy working with and caring for others. This position suits someone who enjoys helping others and is able to maintain a caring and patient demeanor during potentially stressful situations. Orderlies need a basic life support (BLS) certification and cardiopulmonary resuscitation (CPR) training. Food preparation workers work under chefs, cooks, and restaurant managers to prepare and cook food, brew coffee or tea, and perform other food service related tasks. People with a speech or language impairment may be comfortable working as food preparation workers, as the job relies heavily on the worker's ability to carry out instruction in a fast paced environment. This job suits someone who enjoys cooking and is interested in working as a member of a food service establishment. No formal education is required and food preparation workers are trained on the job. The following five positions are well suited for people with anxiety disorders. These jobs allow individuals to work along flexible timelines in low-pressure environments. Animal breeders (#1), furniture finishers (#2), and watch repairers (#3) are often self-employed, which allows for further flexibility when it comes to managing deadlines and social interactions. Couriers and messengers pick up and deliver messages, parcels, documents, and other items between offices, departments, or within local areas. Couriers may be employed full or part-time by certain companies or establishments, or work as independent contractors. This position may be well suited to people with anxiety disorders because couriers and messengers are able to control and limit the amount of social interactions they deal with on a daily basis. Couriers who are self-employed are also able to set their own deadlines that suit their needs. A driver's license is usually required, unless couriers travel by bike or foot. Tapers are responsible for a variety of tasks that prepare a wall surface for either papering or painting. Day-to-day responsibilities include sealing joints between wallboards, keeping the job site clean, and keeping track of inventory. This job does not require extensive external communications with clients, and the routine nature of this position may also be suitable for individuals with anxiety disorders. A high school diploma is usually required, and employers also highly value prior work experience. Construction equipment operators specialize in one or more different types of construction equipment, including bulldozers, pumps, tractors, and other machinery. Aside from specialized work depending on the type of machinery, day-to-day tasks may also include repairing and maintaining the equipment. This position is a strong fit for individuals with anxiety disorders, as construction equipment operators have set tasks that are executed routinely. In this line of work, management is also known to be highly supportive of their employees and attentive to their needs. Prospective candidates are usually required to have a high school diploma. Animal breeders are responsible for breeding cats or dogs to be sold as pets or shown professionally. Breeders also provide animals with food, water, and medical care. People with anxiety disorders may enjoy working as animal breeders because animals may give them a sense of companionship and lower their anxiety levels. This job suits individuals who are responsible and enjoy working with and being around animals. While animal breeders do not need to have any formal education, they should have a basic knowledge of the breeds they are working with. Archivists work in museums, schools, government agencies, and other institutions to preserve sound recordings, videos, historical documents, photographs, and other forms of records. Someone with an anxiety disorder may find work as an archivist, as the position is performed in a low-stress environment. This position is suitable for someone who is interested in continuously gathering information and learning about history. While some employers might hire someone with a bachelor’s degree, most prefer people with advanced degrees such as a master’s or Ph.D. in fields such as library science, history, and art. People with intellectual disabilities face varying limitations in mental functioning, communicative skills, and social awareness. While these individuals can thrive in a number of different positions, they require more time and effort than others. Listed below are a number of considerations for people with intellectual disabilities to take into account when choosing a job. A strong routine with little deviancy is an important factor to take into account when looking for a job. A strict schedule can make it easier for people to learn the ropes and become familiar and comfortable with their tasks. Individuals with intellectual disabilities may also find it more rewarding to do work that is repetitive and easier to grasp. Behind the scenes work such as operating different types of equipment and machinery may be a rewarding and manageable position to start at and work up from. For people who find comfort working outdoors, finding a position working in an agricultural setting may be ideal. Working with others in an outdoor setting such as on a farm or in a recreational park may provide therapy in addition to helping individuals with intellectual disabilities develop valuable job skills such as participation, engagement, and different motor skills. Many individuals with intellectual disabilities are naturally artistic, and may find it ideal to pursue a career that caters toward this strength. Jobs that allow an outlet for creativity include painting, sculpting, photography, and digital graphic design. Because there is a wide spectrum of learning capabilities, below are a number of strong career paths for people with learning differences. Many individuals with common learning differences such as dyslexia and ADHD are creative, empathetic, and energetic - traits that are valuable when applied to the right job. Individuals with learning differences may find it easier to express themselves and thrive in creative positions such as artists, playwrights, filmmakers, and musicians. Individuals with learning differences might also find that working in stimulating environments that promote innovation and originality helps them develop their own style of working. Working alongside other like-minded, creative individuals also promotes efficiency and effectiveness in the workplace. Tenacity and energy are critical to success in entrepreneurial and sales jobs; these are also traits that many individuals with learning differences such as ADHD possess. With sales positions, it is also easy for individuals to track their personal goals and successes, which can be a huge motivator. Empathy is a necessary trait when it comes to positions that involve working closely with others. Individuals with learning differences may find it rewarding to work directly with and help other people. For this reason, working in a healthcare field is a promising option. 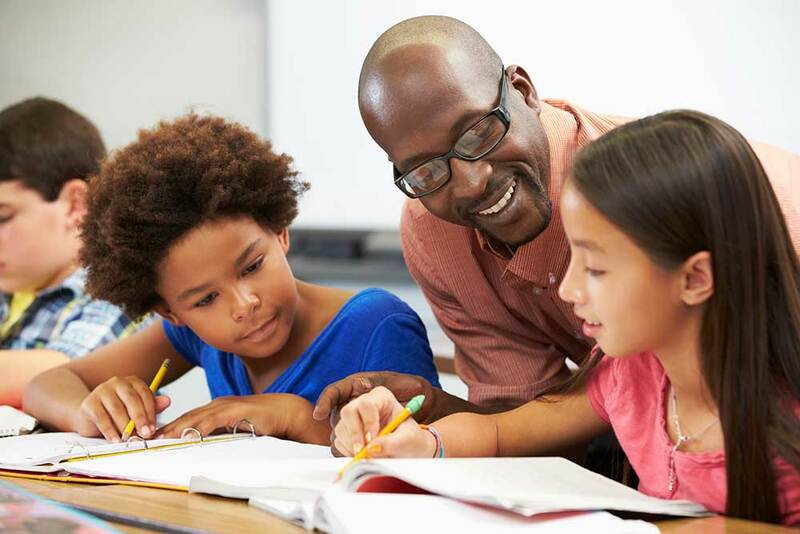 Working as a mentor, counselor, or teacher may also be rewarding for individuals with learning differences, as they have a direct impact on students that may be going through similar experiences. Energetic individuals may find it fulfilling to hold a position where they are constantly busy with quick and manageable tasks to tackle. The feeling of instant gratification is a motivator for many people with learning differences, and careers that promote that feeling of satisfaction are strong choices. More and more companies are striving to create work environments that are inclusive and accessible to all employees. Below are frequently asked questions pertaining to disabilities in the workplace, including examples of disability-friendly resources, programs, and efforts offered in workplaces that promote confidence and competence when working with a diverse group of employees. According to the Americans with Disabilities Act (ADA), a person with a disability is defined as someone who has a physical or mental impairment that impacts one or more major life activities. These impairments cover physiological or psychological disorders, mental illnesses, and certain learning disabilities. Though an exhaustive list of major life activities is not specified, the U.S. Equal Employment Opportunity Commission identified the following to be included: working, learning, caring for oneself, walking, seeing, hearing, breathing, and speaking. The definition of impairment by the ADA does not include physical characteristics such as left-handedness, or common personality traits such as a sharp temper. Cultural or economical disadvantages are also excluded from the ADA's definition of disability. What kind of employer provided disability resources should I look for in a job? An important question to ask a future employer is if the company has disability employment training in place for current and new employees, or if they are willing to invest in training. The goal of disability employment training is to increase awareness of disability etiquette. These trainings can take the form of either in-person or virtual meetings, and help improve competence across a company when discussing disabilities in the workplace. Improving etiquette is also valuable because it will improve not only internal communications, but also external interactions with clients or job candidates with disabilities. Employee resource groups for people with disabilities are also valuable resources to look for in a work environment. Disability Employee Resource Groups are groups founded by employees as a forum to broaden workers’ understanding of people with disabilities. These groups serve as a place where employees can share ideas, network, and as an overall goal, broaden an organization or company’s diversity initiatives. This is also a group where people who are looking for resources or guidance can turn to, and receive advice from those with similar experiences. What is a universally designed workplace? A universally designed workplace meets the needs of a diverse group of people, including those with disabilities. Universal design can be applied to the work environment, workplace technologies, and work policies. The goal is to provide an inclusive, safe, and productive environment for all employees. What are examples of disability discrimination in the workplace? Disability discrimination means treating people differently because of their disability, perceived disability, or association to someone with a disability. Employers who are unwilling to make the workplace accessible or provide reasonable accommodations for workers with physical or mental disabilities are also practicing discrimination. Disability discrimination can also be experienced during job interviews if interviewers ask for a candidate's medical history or require them to take medical examinations as part of the hiring process. The Americans with Disabilities Act (ADA) prevents prospective employers from asking about an interviewee's health conditions during the interviewing process, though interviewers can legally ask candidates how they would fulfill major responsibilities if the candidate has an apparent physical disability. How do I report disability discrimination in the workplace? If you've noticed or experienced disability discrimination in your workplace, two possible courses of action are to either reach out to your company's human resources department, or file an ADA complaint with the U.S. Department of Justice. Complaints can be filed online, by mail, or by fax. More information can be found on the ADA's website. Different states also have different procedures in place for filing a disability discrimination complaint. The non-profit organization Workplace Fairness provides state-specific information here.